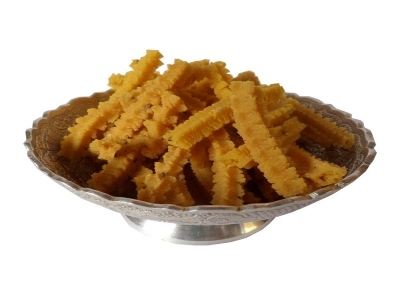 Murukku is typically made from rice and urad dal flour. The flours are mixed with water, salt, asafoetida and either sesame seeds or cumin seeds. The mix is kneaded into a dough, which is shaped into spiral or coil shapes either by hand or using a mould. The spirals are then deep fried in vegetable oil.